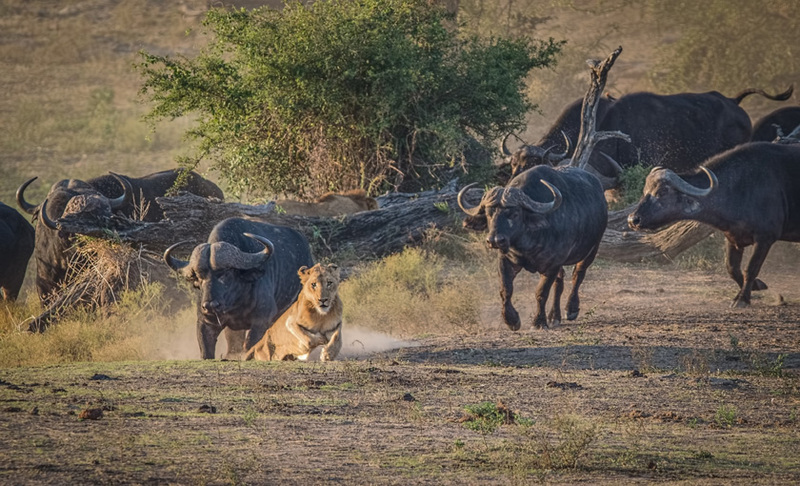 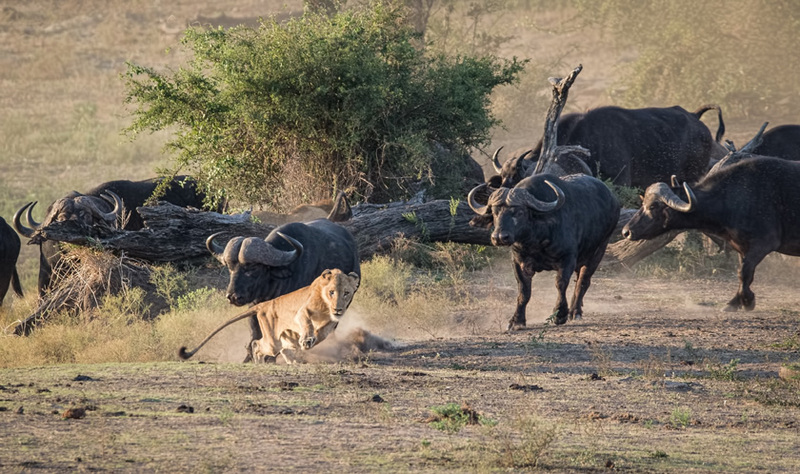 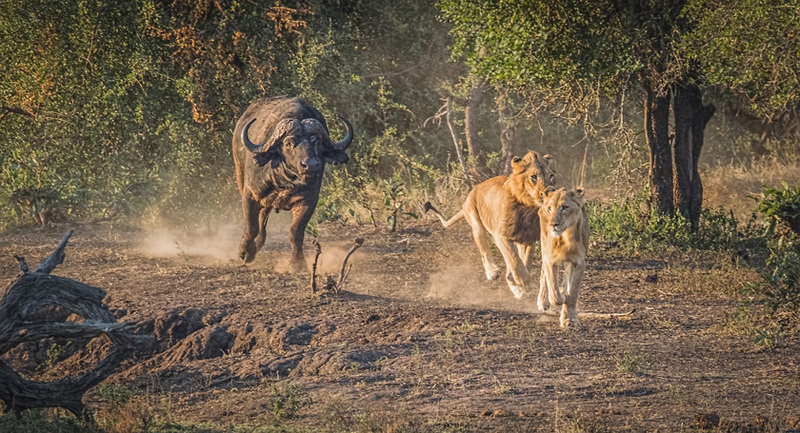 Lion are very wary of tackling buffalo unless they have a “team effort” in numbers, and often still require a large male lion to administer the final “coup de grace”. 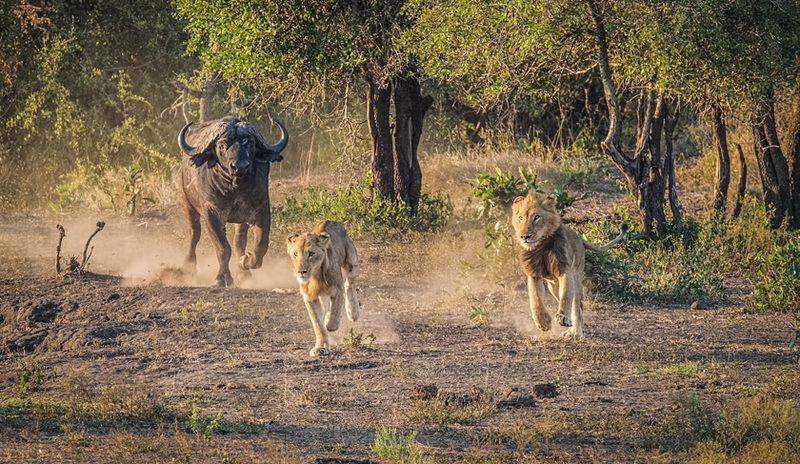 Very often a large herd of buffalo will attract the following of a pride of lion, which then learn to specialise in killing buffalo. 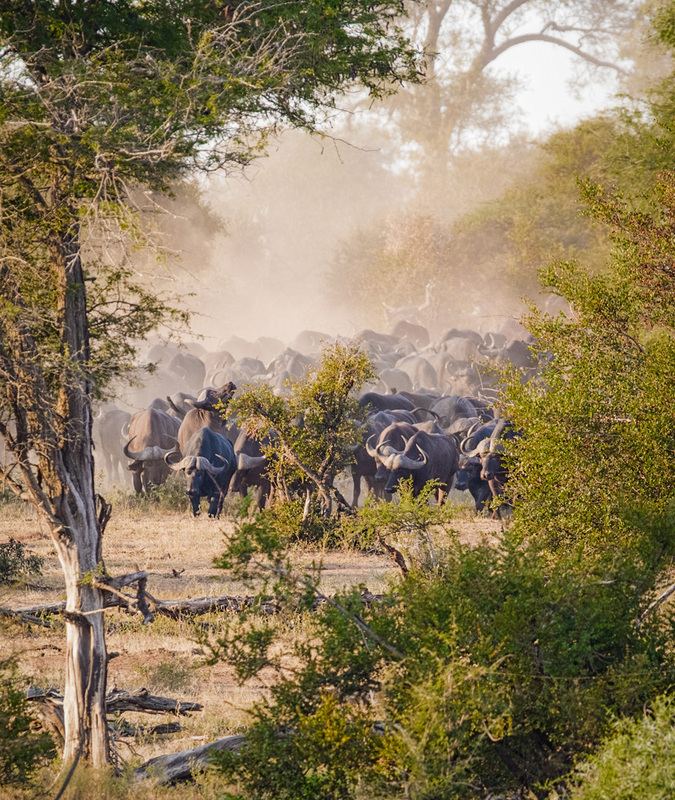 It would be safe to say that where you find a large herd of buffalo, lion will not be far away! 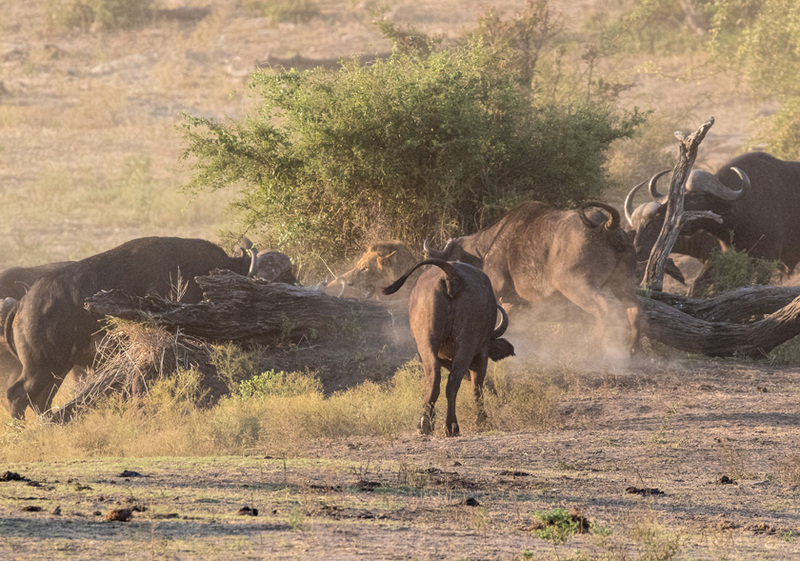 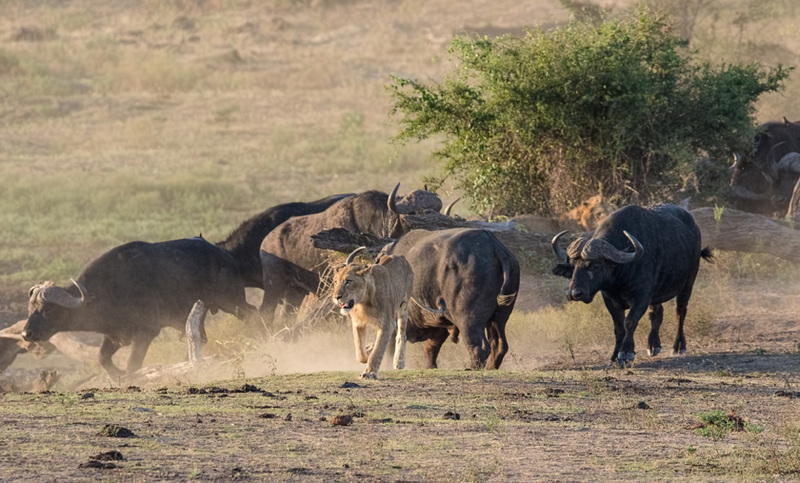 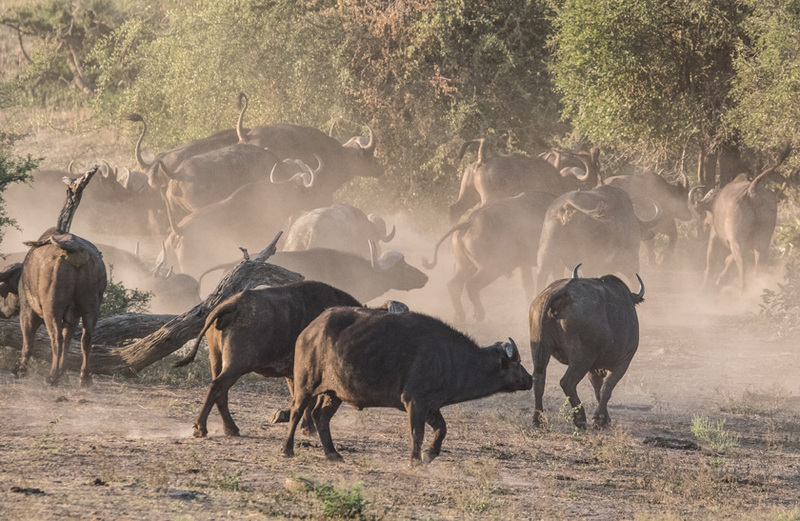 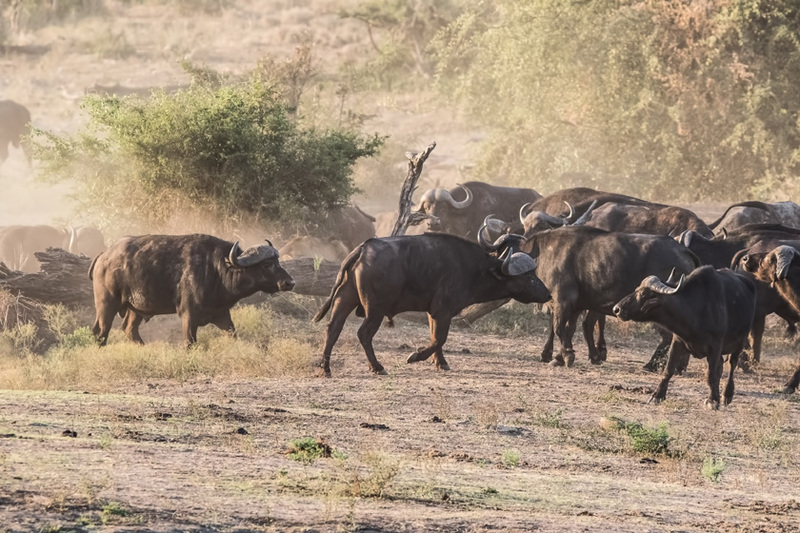 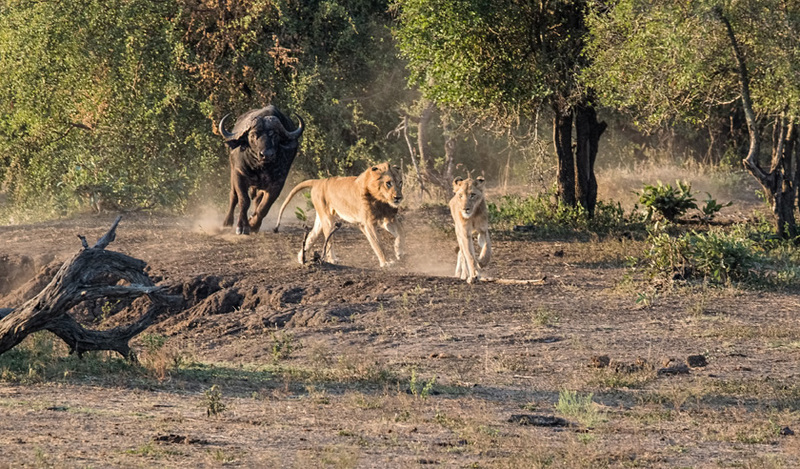 In this unique sequence of images, the buffalo far outnumbered the lion pride, which gave them the confidence to become the hunters, as opposed to their usual role as the prey.